Alright guys, real talk: I’ve been having some serious issues with my hair this winter. It’s flat. It’s frizzy. My roots are weighed down, and it’s no bueno. That’s why I decided to take Pantene’s 14 Day Challenge. I’ve been using their Sheer Volume Shampoo & Conditioner for the last two weeks, and I am so shook. It’s an affordable yet super effective volumizing shampoo, and I seriously can’t recommend it enough. 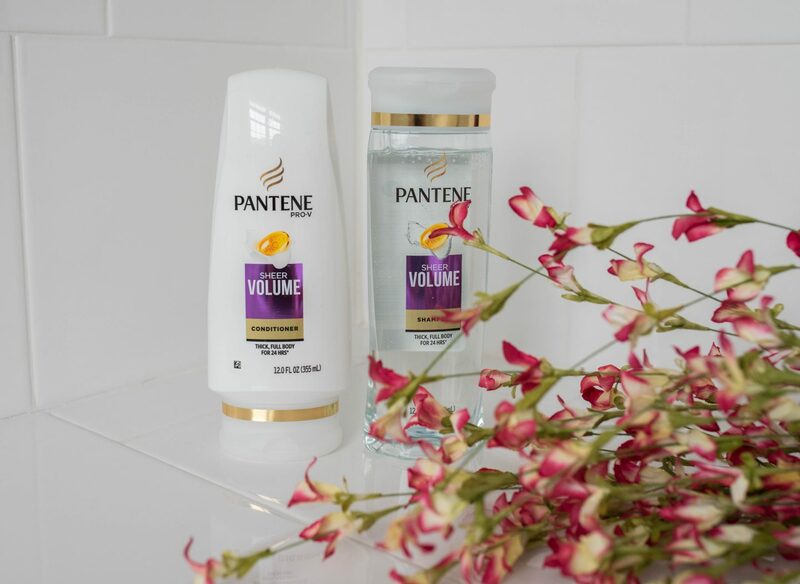 Why is the Pantene Sheer Volume Collection so special? On top of their shampoo & conditioner, I’ve also been using their dry shampoo regularly, and I’ve noticed quite a big difference in volume and shine since I’m not washing it every day. 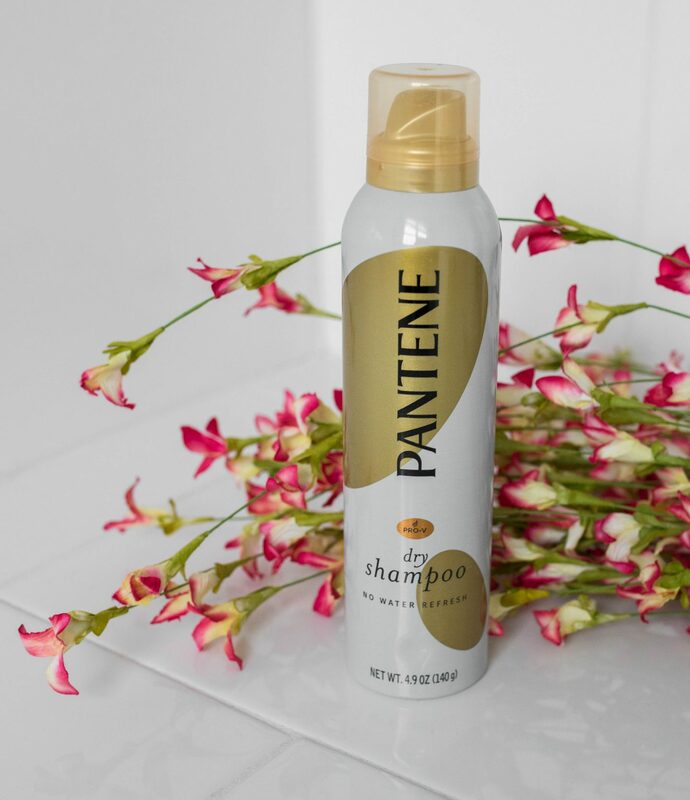 I’ve always been a big fan of Pantene, but these products are extra effective because of their new formula. They’ve combined conditioning ingredients into a silky texture, and it feels heavenly during use, like I can pretty much guarantee you guys will let out a “yassssss” when lathering up. 1. Focus on washing your scalp and roots because that’s where you have the most build up (think oils, dirt and product residue). 2. 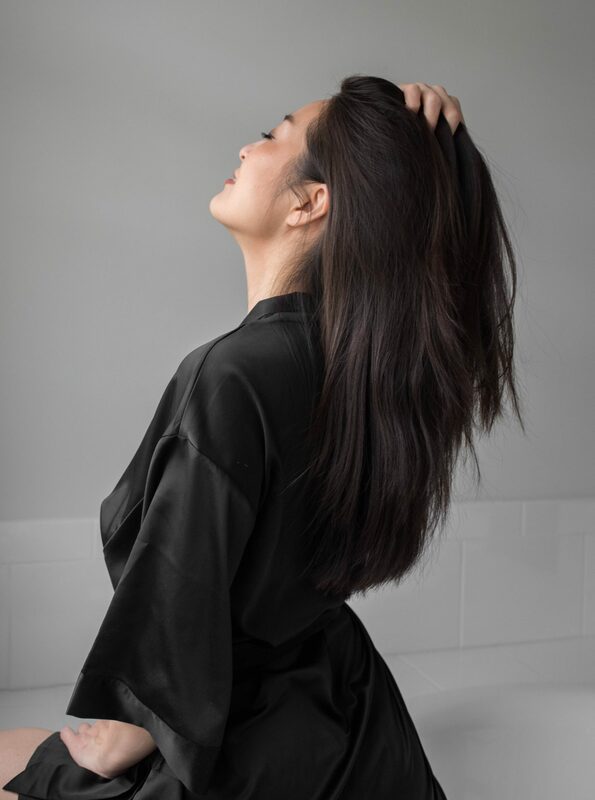 Remember to condition the FULL length of your hair, not just the tips (unless you have an oily scalp). Due to styling and environmental stress, your mane needs help ALL over thanks to heat styling, sun damage and more. Apply it mid-shaft downwards before working it throughout your entire mane. 3. Don’t over rinse your conditioner, like you’re canceling out its effects if you do it for more than 30 seconds. Simply run your fingers through your hair so water can run through, and voila! You’re done. If you have a hard time detangling after showers then you’re most likely overdoing it. 4. 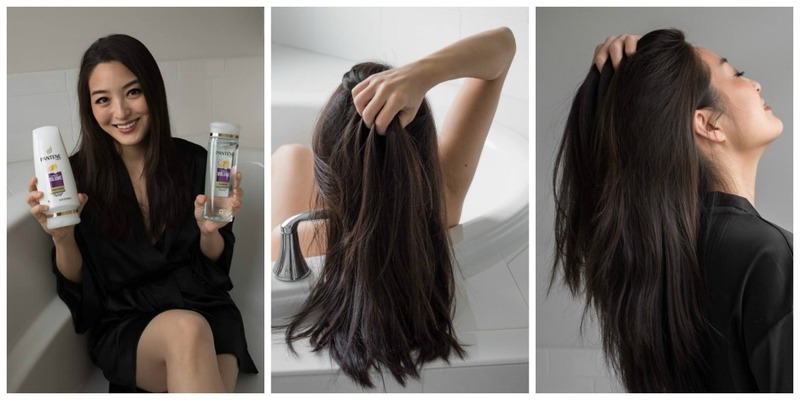 Experiment with dry shampoo! Use it to extend time between washes – it’ll soak up your scalp’s oil AND give you texture + volume which is a win-win in my book. It can also be used as a tool to soak up oil throughout the day if need be. 5. Try to keep your heat settings as low as possible! Styling tools can get SO hot that they melt hair’s proteins, and ain’t nobody got time for that. Also, work on your ‘do when it’s dry – wet hair is weak hair so you want to be extra gentle. And now that you’re all hair pros, let’s take a closer look at my mane. Here are pics from days 1, 7 and 14 – I posted a bigger shot of today’s ‘do above in case my collage is too small for you guys. After day 1, my hair felt lighter, and it was easier for me to style. Lathering up felt so good, and it honestly made me look forward to showering. The product smells like heaven, and it’s luxe – you’ll feel like you’re having an at-home spa experience. After a week, I already noticed a difference in volume. You guys may think that’s cray, but I felt AND saw a clear difference in my scalp. My hair usually falls flat after a few hours, but it managed to stay put. It was nice to not feel self-conscious about oily roots. Now it’s day 14, and my mane looks pretty darn good if I don’t say so myself. It has a good amount of volume, and it’s way more shiny than it ever was before. It feels extremely soft to the touch, and not gonna lie, I spend a good amount of time just running my fingers through my hair, ha. How many of you want more volume? Do you have fine or oily hair? If yes, what products do you use on the regular? Would you be down to try Pantene’s Sheer Volume Collection? Definitely let me know what you think by leaving me a comment below. For more on beauty, make sure you guys browse this tab! Until next time, friends. May you have great hair days EVERY day!